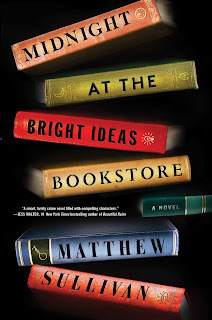 The Page 69 Test: "Midnight at the Bright Ideas Bookstore"
Matthew Sullivan received his B.A. from the University of San Francisco, his M.F.A. from the University of Idaho, and has been a resident writer at Yaddo, Centrum, and the Vermont Studio Center. His writing has been nominated for the Pushcart Prize and other awards, and has won the Florida Review Editor's Prize and the Robert Olen Butler Fiction Prize. In addition to working for years at Tattered Cover Book Store in Denver and at Brookline Booksmith in Boston, he has taught writing and literature at colleges in Boston, Idaho, and Poland, and currently teaches writing, literature, and film at Big Bend Community College in the high desert of Washington State. In her kitchen, Lydia nibbled the crust from her honey toast and waited impatiently for her overworked coffeemaker to finish gurgling. When she looked up, David was there in his towel, red from his shower, smelling of menthol shaving cream. He peered into Joey’s milk crate, which sat in the center of their breakfast table, where Lydia had left it the night before. “More books?” he said, picking up Joey’s dusty Victorian story primer and turning it over in his hands. “Can’t ever have too many,” she said lightly. “That’s the spirit,” she said. Lydia looked up the length of David’s arm and saw his clean, damp hair and the remnant glow of his shower, and felt the desire to rest her hand on his. Lydia and David are meant to have a loving banter and a good chemistry as a couple. But as we see here, for all of his kindness, David doesn’t share or particularly understand Lydia’s bibliophilia. Throughout much of this novel, I was attempting to raise a glass to books and book lovers, but also to use this particular passion as a glimpse into Lydia’s psyche. Beyond acting as her escape, books also act as reminders of her childhood, especially of the happiness she experienced with her librarian father in the years before The Hammerman murders derailed the trajectory of their life. Her early childhood acts as a perpetual Eden to which she is always trying to return. 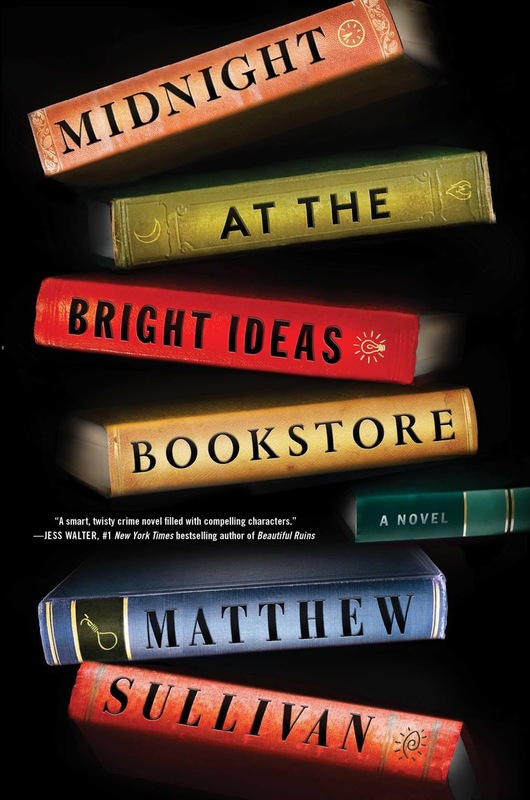 The Bright Ideas Bookstore is as close as she comes to finding that sanctuary again. Spoiler alert: At the very end of the novel, Lydia ends up feeling more connected to her old friend Raj than to her boyfriend, David… something that has caused some discussion among readers (“Team David or Team Raj?”). The rationale here is that Raj was part of that bookish childhood bliss Lydia has spent her adult life trying to recapture, so he, inevitably, would be the guy who makes her happiest—and who she ends up with. In many ways, David may be a better fit for her, and Raj may be part of an unhealthy nostalgia, but to me there is an emotional truth in Lydia and Raj, in the end, arriving at some approximation of their peaceful life before The Hammerman.